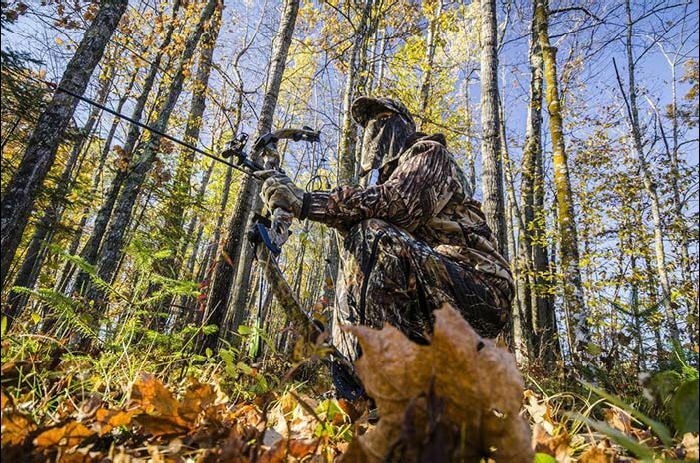 Why Should You Learn Bow Hunting for Survival? Learning survival skills isn’t everyone’s plans as most people rarely plan to become survivals one day. What if the worst happens and you have to hunt for food to survive? Chances are you’re not one of those many people if you’re reading this post. As a modern-day prepper, the idea of bow hunting might not sound ideal but remembers bullets eventually do disappear. You need to learn stealth to survive. These are the times when you realize a bow is your best option. Tracking your target with the focus on stealth hunting is one of the best skills any prepper can learn. Learning how to use a bow and arrow for hunting is an art of the highest kind that might one day be the only option you’ve got. When stuck in the wilderness, nothing beats what a bow and arrow can do for you. There is always a reason to learn bow hunting for survival especially if you’re a fan of primitive hunting skills. For those that think bow hunting has no place in the modern world, here are six why you should learn bow hunting for survival. Ordinary take down bows weigh just a few pounds making them extremely portable. The last thing you would wish for when in a survival situation is a weapon that weighs you down. Bows consist of only three pieces; the two limbs and a mid-grip section. You just need to twist a few lug screws, and you’re ready to aim. The portability of the bow along with the arrow arrangement means you can easily pack the bow and some arrows in your bug out bag with ease. The bow is a multi-purpose weapon that can be used to achieve several other functions. You can all agree with me that it feels great to have a weapon that can be used to serve several other purposes. Pieces of the takedown bow arrow kit can be used different functions. One of the parts you can use for example is the string. The string is usually 4-6 feet and sturdy. It can be used as a trot-line for fishing and a cordage for building shelter. 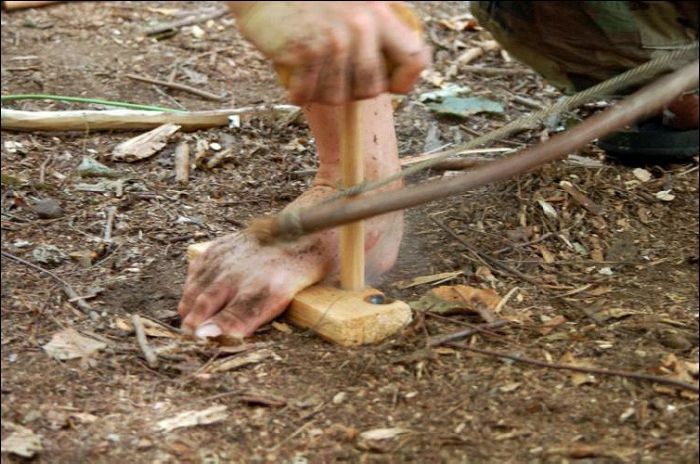 The string can also be used in traps, making a snare and even starting fire via a bow drill. Go ahead and improvise anything that helps you from the string as a long as you don’t damage it. Also, the arrows can be used as a spear for hunting small game and fish. There is just a lot you can do with your bow and arrows apart from hunting. This is probably one of the compelling reasons to start learning bow hunting for survival. A bow and an arrow make up a silent weapon. Who knows, there will come a day when you will need a deadly but silent weapon. Consider a situation where you have to maintain a low sonic profile and to bug out isn’t an option. Archery will turn out to be your only survival option. A bow and arrow are wise ideas, especially when hunting in an area with a lot of competition. Bow hunting for survival guarantees you stealth takedown. You also get to return to your camp safely without drawing any unnecessary attention. Any prepper can agree with me that the key long-term survival and emergency preparedness is having a plan B. While guns have taken center stage over the past few years, they can run out of ammunition. In such scenarios, your only plan B is a bow. This is further supported by the fact that a bow is quite light and can be packed together with the arrows in your bug out bag with easy. There even places around the globe where you can’t use a gun freely. Such places require you to have a bow and some arrows with you. 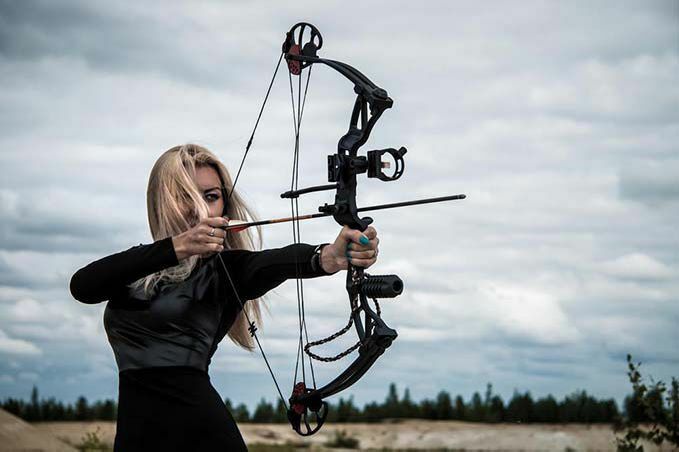 Regulations and legal laws regarding the use of bows and arrows are also more lenient compared to guns. There is no cumbersome paperwork required for people to own bows and arrows as with pellets and guns. There is no better weapon as a bow and an arrow when in a long-range situation. This simply means you don’t need to get too close to your target to kill it. With good practice, you can shoot targets from as far as 50-100 yards and hit them accurately. This is not something that you can do with spears. This is another great idea to learn bow hunting. Most preppers will tell you they just need a few materials to make a good bow and arrows. This cannot be said of other weapons in a real survival situation. A few straight sticks can make an arrow while a hardwood can make the bow itself. Use stone chips to make the broadheads. It is fun making the bow and arrows. If you have a glass bottle with you, then you can break it and make broadheads. The string is the only challenging thing to find, but plants like vines can give you strong strings. You can even use threads from your clothes. Now you know why you need to learn bow hunting right away. With a bow and some arrows, you can not only hunt down a prey but also defend yourself. When we talk about bow hunting for survival, it is not just how you can use the bow to kill a prey; it is how you can employ a bow and an arrow in a survival situation. Brandon Cox is the founder of StayHunting, who is passionate about all things of hunting and fitness. Through his hunting website, he would like to share tips & tricks, finest tech that will excite all of the intricacies of hunting whether you be an amateur or a professional. ← Valley Food Storage Dehydrated Peanut Powder. I use a recurve bow on furries yet prefer trapping for survival. Trapping being a force multiplier. For self defence in the open, I’ll buy that but in an urban setting, no I don’t. I was invited to a paintball centre for a day of ‘combative’ bow shooting. Dummies set up to shoot at and the objective to clear an old WW2 base of “terrorists”. My bow has 48 inch limbs. Way too short for my height BUT it’s a take down, compact for survival. OK, open outdoor shots, easy. Start walking along corridors with low ceilings, electrical wiring trailing, and narrow doorways, not so easy. Add darkened rooms and how to mount a torch on a bow still escapes me. Shooting out of a window, easy. Shooting through a window? err!! Imagine my surprise when the arrow failed to penetrate glass at 25 yards, with one shaft finally going through the glass and shredding itself. As for the broad point? Totally unusable ever again. Reblogged this on SHTF Prepper.